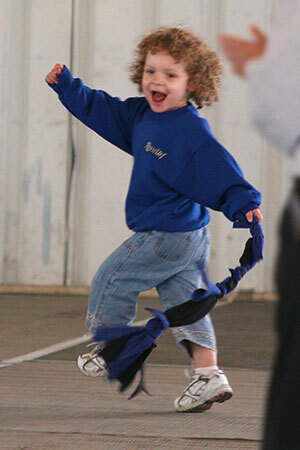 U-FLI is extremely proud of the success of its Junior Handler program. The Junior "Award of Merit" Program encourages participation by junior handlers of all ages by recognizing and rewarding the efforts of participants who are under 18 years of age. With increasing levels of participation, the junior handler earns awards, from a certificate, to a pin, to a plaque for the Advanced Junior Award of Merit. Click here to watch a video of an all Junior Handler team. Novice: A junior participant who has participated in one tournament shall be awarded the Novice Junior Award of Merit Certificate. Intermediate: A junior participant who has been awarded the Novice Junior Award of Merit Certificate and has participated in an additional five U-FLI sanctioned tournaments on five separate weekends shall be awarded the Intermediate Junior Award of Merit Pin. Advanced: A junior participant who has been awarded the Intermediate Junior Award of Merit Pin and has participated in an additional ten U-FLI sanctioned tournaments on 10 separate weekends shall be awarded the Advanced Junior Award of Merit Plaque.